“The Experience is Priceless”. 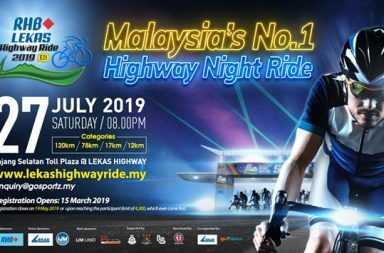 With that promise, it is difficult to ignore and resist Malaysia’s number one closed highway night cycling event on LEKAS Highway in Selangor. 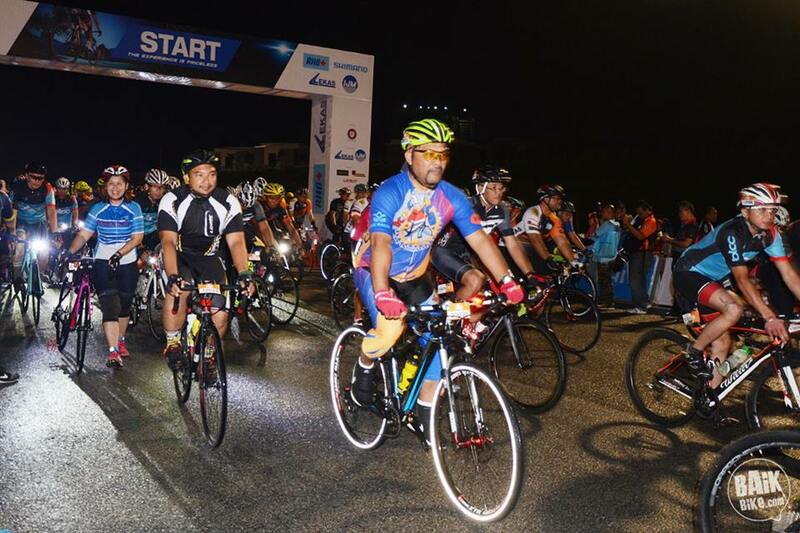 So when the opportunity suddenly came one week before the event date to join RHB Shimano LEKAS Highway Ride 2017, I didn’t hesitate, despite the fact that I have not touched my road bike for a couple of months. Rain tried to dampen the night, and it was wet wet wet. Unfortunately, the heavy drizzle turned into a steady shower, and I wondered if the ride will be called off. However, when we reached the brightly lit tents at the starting point 15 minutes before flag off, the rain providentially stopped. 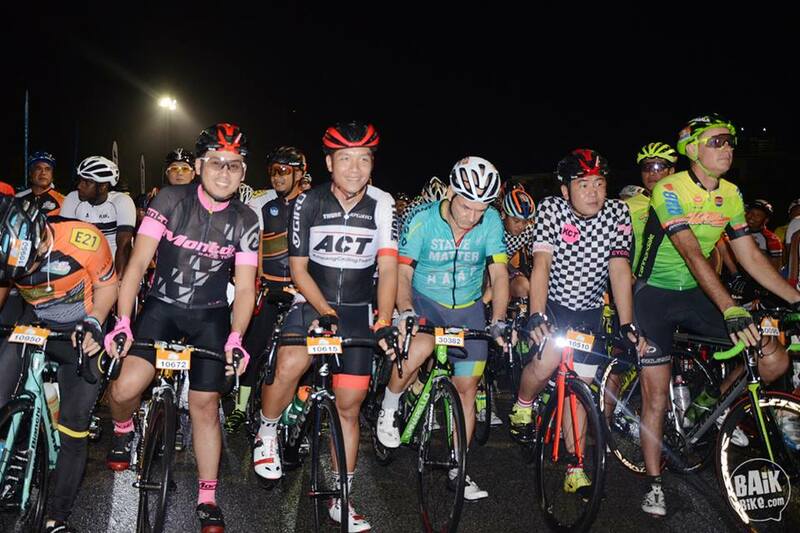 Knowing the state of my fitness, I signed up for the shorter 78km ride which had more than 1,500 cyclists flagging off together. As I rode past the ‘Lorong Tunai’ (Cash lane), I mentally checked off a bucket list item: cycle through a highway toll booth. The route was very straightforward, ride 39km, make a U-turn and ride 39km back to the finish line. The cool night air was a very pleasant change from the stifling heat of previous typical day rides. Temperature clearly makes a huge difference as I was able to climb up long inclines at a much faster pace than I was used to. During the ride, I observed the other riders and was amused to see that even on bicycles, people adhere to the rules of highway driving: the ‘santai’ (casual) riders kept to the slow lane while the stronger, steady riders stayed on the middle lane and the pelotons or fast riders zoomed past on the fast lane. 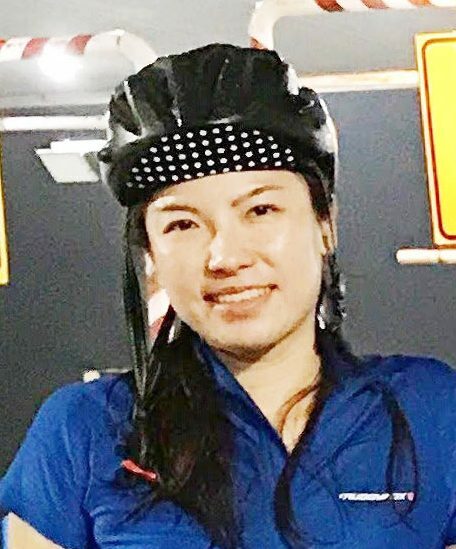 After a while, I contented with riding by myself, letting the soft swoosh of my wheels turning and my shadow overtaking me in tandem with each passing street lamp set the rhythm of my ride. 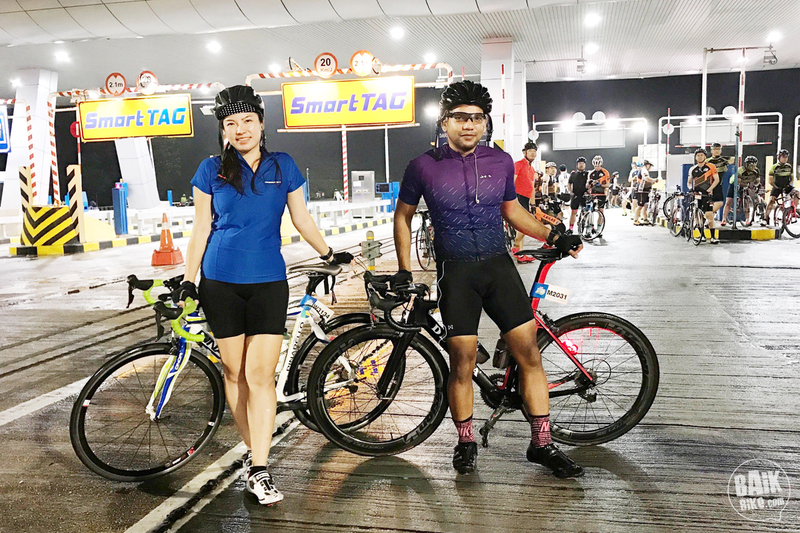 It was a somewhat priceless experience, riding in the dark with nothing but the undulating glow of street lamps guiding you onward, whose sudden dip in the horizon is a relieving promise of an upcoming descent particularly after a long hard climb. The ride is always more fun with a big group of friends. Finally, I reached the U-turn and started to count the distance as the kilometers seemed to crawl by. I passed another toll both, this time I aimed for the ‘Smart Tag’ lane. There were three rest stops throughout the route where water, 100 Plus and bananas were served alongside the medic station. I only stopped at the last one to replenish my water and to stretch my groaning muscles. “Last 7km to go”, I was told by one of the volunteers. From here on I pushed relentlessly despite a growing cramp on my thighs, assuaging myself that this is the home stretch. 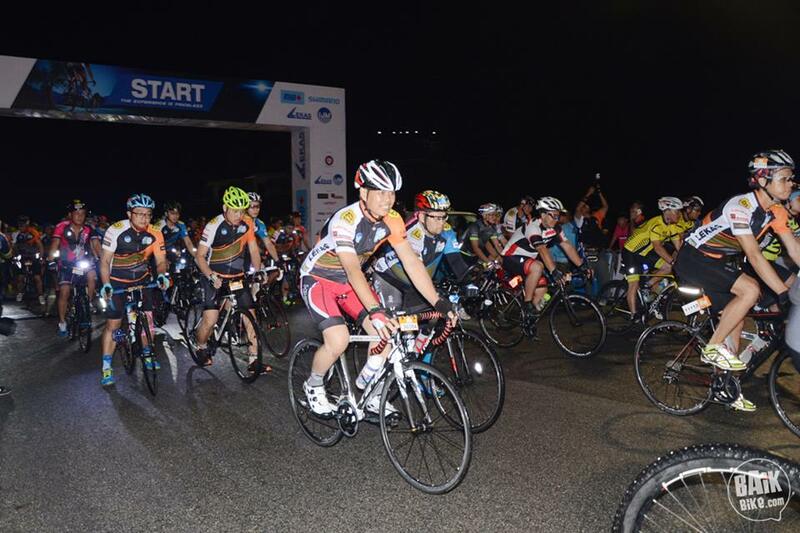 About 2km from the finish line, fireworks suddenly lit up the sky, the welcome party I thought, and pedalled faster. At long last, the Kajang Selatan Toll Plaza came into view and I rolled through its finish lane at 3hrs 11 minutes. A meal coupon with free satay, popiah and instant noodle cup came with the finisher medal. The satay was good, but I do wish they offered cold drinks and perhaps ice-cream as well. There were several massage booths and I was tempted but decided to settle on a bag of ice pack for my aching legs. All in all, it was a well managed event with very clear signage and sufficient pit stops. What would make it better is more F&B options. Maybe next time the organizer can arrange food trucks for more substantial post-ride meals. I also feel that more rubbish bins should be provided as food garbage were strewn all over the road. Honestly, I almost completely forgot to collect my race kit and only collected it on race day. It was a blessing in disguise as it turns out Friday’s collection was poorly managed, judging from the numerous angry feedback from other participants. Saturday’s collection was a breeze with hardly any queue, kudos to the management for the quick improvement. The verdict? It was a good experience and I’m glad that I joined this ride. 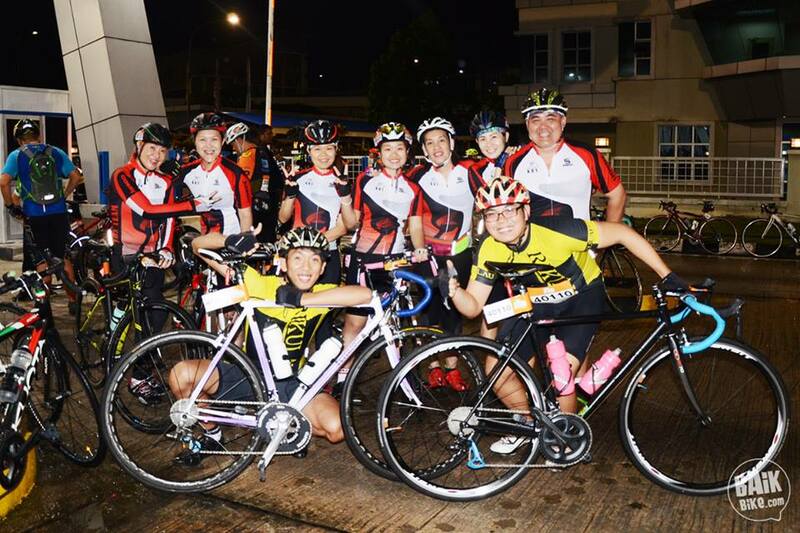 Hopefully more such rides will be held at the many highways in Malaysia to boost the sport. View more photos in BaikBike’s Facebook album. Alicia Teoh is a nature lover and an intrepid adventurer wannabe with an ever-growing bucket list.